Now their pilot brewery is up and running, KAIJU! 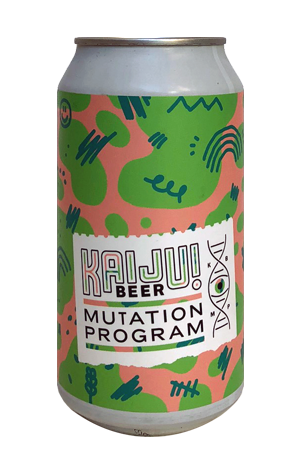 has launched the Mutation Program, a series of 300 and 600 litre batches of beers that may or may come back in greater volume down the line. Initially, however, they'll only see the light in tiny runs of 30 or less cases plus a few kegs dotted around the country. Or, in the case of the first one, Main Squeeze, inside the Carwyn Cellars advent calendar too. Recipients of the calendars will have cracked theirs at the weekend. For anyone else who can make it to the Thornbury bottlo or find one of the handful of kegs heading interstate, you'll get a pretty atypical KAIJU! experience – or at least one you wouldn't have expected in pre-Krush days. At its heart, you've got a very simple base beer – pale, stripped back and weighing in at just 3.2 percent ABV – with a bounty of passionfruit and guava added on top. The experience isn't too far from the sort of juices you'd have plucked from your school lunchbox, albeit designed for sensible grown-ups.